I spent the past few years in Geneva, Switzerland doing a BA in Media Communications and Management also focusing part of my work on marketing. One of my key interests was information quality in the age of web 2.0 and how massive information sharing and UGC can interfere with the learning process. Currently I am doing a Masters at the UvA in New Media and Digital Culture. I am mostly interested in new developments in the technological sector, such as ubiquitous computing, and their impact on society and future business models. It’s been almost 20 years since the web made its grand entrance into the lives of average consumers. It was around that time the internet was also opened for business and companies started assessing it for its profitability. Initially the idea of the web was to promote as much free content as possible and in a way this idea still prevails nowadays but ideally contributors would like to earn money with the content they upload and make accessible to the consuming audience. Due to the possibilities the web offers to map user behavior and demographic activity, advertising space online has become immensely popular, not to mention cheaper and often more targeted than in other media. The adaptation of the profit model from magazines and newspapers, was therefore a logical step. The advertising model online also became popular partially because of the limitations of the medium itself. Payments online didn’t really take off until the late 90s and even then many customers remained skeptical towards online payments, which are still often limited to credit cards (depending on the country) and therefore may exclude certain demographics of customers. Thus sponsorship through advertisements seemed to be a good and simple solution. In the case of UGC (User Generated Content) this perpetuated the idea that content supplied to the web should be free or at least appear to be so and on the side make a profit through relevant advertising space distributed and allocated by Google. 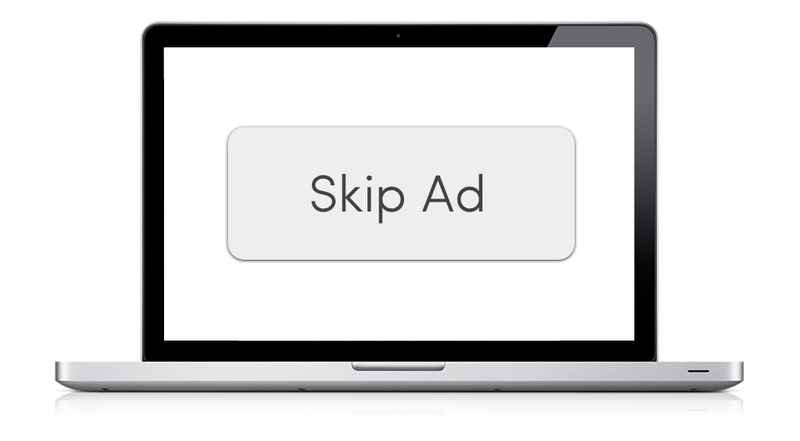 Everyone, from blogs through Facebook to YouTube jumped onto the ad boat. It wasn’t a particularly glamorous solution and many ads did not fit with the content of the websites, but it got the job done and ensured reimbursement for the effort. On websites such as YouTube the amount paid is connected to the amount of views. Anyone who is determined to make a profit will naturally attempt to get as many views as possible. Therefore the logical way of making the perfect video is to appeal to the greatest number of users and hence the lowest common denominator of interest, in this case the broadest common interests of the consumers. Two negative effects followed these developments. For one websites became increasingly cluttered with advertisements in order to maximise profits, making the browsing experience less than optimal for many users, especially those with slower internet connections. Second, the efforts to attract an ever greater audience online led to the creation of low quality content with very little if any intellectual value appealing to the greatest possible audience. The idea again is to have a minimum investment and a maximum profit. Numbers of views on YouTube also proved that quality content isn’t necessarily the most appealing content. Because users got used to content being free online, they started opting for bad quality content in order to make fun of it and feel better about themselves. It is a form of Schadenfreude (pleasure derived from someone else’s misfortune) and often enough this can even be a secret pleasure for many. If it weren’t “free” they wouldn’t be consuming it. This is following a similar pattern to reality TV. In online marketing, which is focused on advertisement as the main income source, the quality of the product itself is irrelevant. It is simply registered that this type of content receives a lot of views and therefore makes more money. As a direct consequence this results in the promotion and production of more of such content. This is a byproduct of participatory media where the consumer’s choices are precisely mapped by the medium and result in a feedback loop aimed at pleasing the user. In the end many would choose a life full of funny and relaxing entertainment when given the choice, especially when given that choice at a young age. It may therefore be time to reconsider the internet business model. With new and often easier payment methods (PayPal comes to mind) it may be possible to return to a content driven business model instead of an ad driven content system. Some frameworks, such as the iTunes store are already beginning to go in that direction creating a possibility for users to easily pay for downloaded content in a multitude of ways. After all people are not inherently averse towards payment for content but are often dissuaded by a high price, a complicated system of payment and a novel system of data management, which can in some cases lead to data loss without possibility of reimbursement. Putting a price tag back on some content would be a way to make the consumer think before consuming and to make a choice thereby making a selection based on a monetary tradeoff. At the same time the producer would get rewarded for the actual work and not the ability to attract advertisers and generate profit based on a speculation and prediction of future profits of a company. Helpful information. Lucky me I found your website by accident, and I am shocked why this coincidence didn’t happened in advance! I bookmarked it. « Raw Vegan and Health Food blogs – A New Way to Mask Eating Disorders. Giving Away Free Digital Content: How Far Can You Go?